A serendipitous observation of a distant supernova by the NASA/ESA Hubble Space Telescope is providing astronomers with a once-in-a-lifetime opportunity to definitively test their understanding of massive clusters of galaxies. In November 2014 astronomers spotted a strange and rare sight. The huge mass of the galaxy cluster MACS J1149+2223 was magnifying the light from a much more distant supernova behind it, nicknamed Refsdal. 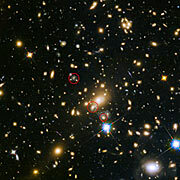 The light from Refsdal was magnified and distorted due to gravitational lensing, creating four separate images of the supernova arranged in a formation known as an Einstein Cross. Although astronomers have discovered dozens of multiply imaged galaxies, they had never before seen multiple images of a supernova (heic1505). The four supernova images have been slowly fading away as the explosion dies down, but astronomers now have the unique chance to catch a rerun of Refsdal: The supernova images do not arrive on Earth at the same time because, for each image produced, the light takes a different route. For some of these routes, the light takes longer to reach us than for others. 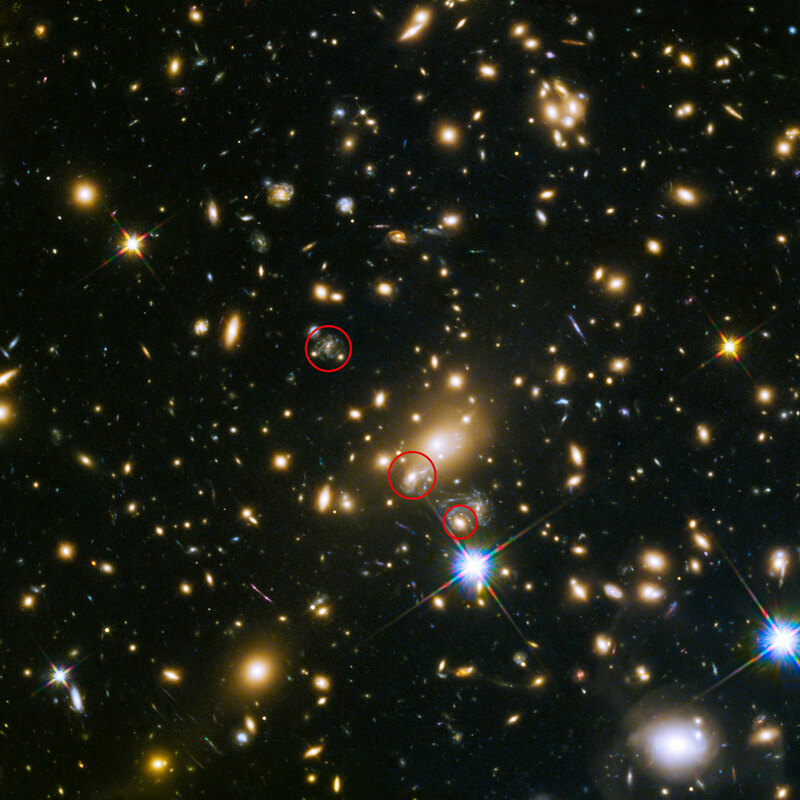 Using various models of the cluster acting as a lens, astronomers have made a consistent set of predictions for when the next image will appear. Hubble’s gaze will now periodically be fixed on the skies in anticipation of once again observing Refsdal. The next image of this extraordinary event is expected to peak in the first third of 2016. Follow the progress of Hubble’s upcoming observations on social media, on Hubble’s Twitter and Facebook pages. Stay tuned!